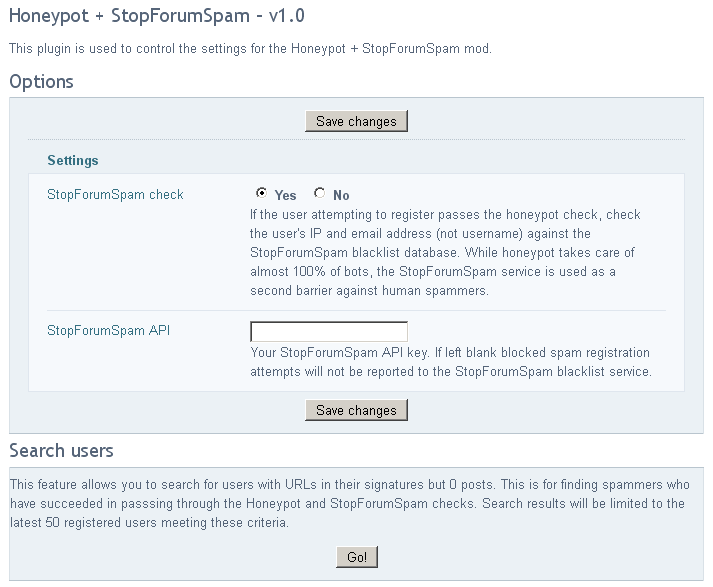 I was looking for a spam solution for PunRes and discovered that the FluxBB forum uses a Honeypot + StopForumSpam combo. Reines was friendly enough to share the patch to add this method of spam protection here. This mod is based on this patch. All I added was options to enable/disable certain features, and also some stats in the mod's admin cp. Since installing it there has only been about 2 or 3 spam registrations. About 100-200 spam registration attempts are blocked per day. 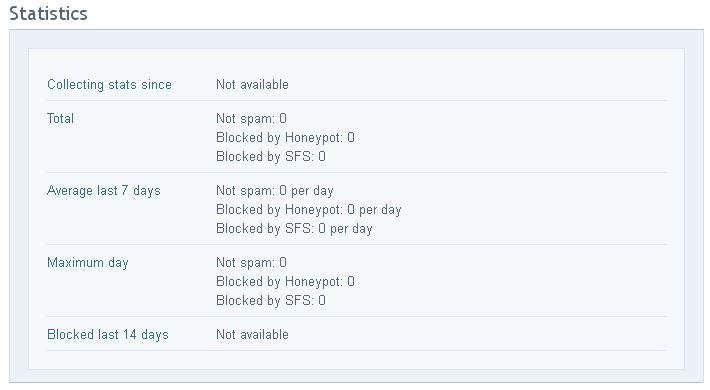 The Honeypot blocks almost 100% of the bots. And the StopForumSpam as Reines mentioned serves as a second barrier against human spammers. The greatest thing about this mod is that it's completely invisible to normal users! We have the username field renamed on the register form, and a new hidden field added with the old name. When the form is submit we check if the hidden field has been filled out, if it has then the user is a bot. This seems to catch 100% of bots. Some of the bots target stock PunBB/FluxBB installs and hence fill out the field with the old name and leave the new field blank, hence the registration is denied as the username field is blank. Some other bots fill out all fields, hence the registration is denied because they filled out the hidden field. If they pass those checks, we check the IP and email address (not username) against the stopforumspam API. This catches a few human spammers.